George Washington, who was born in 1732, is a prominent figure in American history. As one of the founding fathers, the first ever president of the United States, and someone who played a major part in drafting the Constitution he is hailed as the ‘father of America’. It has been a while since we did a historical themed cosplay tutorial, so in this post we’re going to show you how to create a George Washington costume. There are multiple ways you can go about this, either do it yourself or buy a pre-made costume. As a figure well publicized figure to this day, this would make a great costume that anyone would be able to recognize. Perfect for school plays, dress up and of course Halloween for people of all ages. Although almost any American citizen would recognize this outfit it would make the perfect obscure costume choice as I doubt many others would think of wearing it. So without further ado let’s get into the guide! 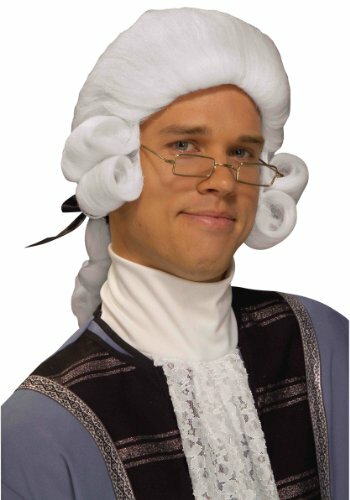 The first thing you’ll need is a wig to replicate George’s old fashioned hairstyle. 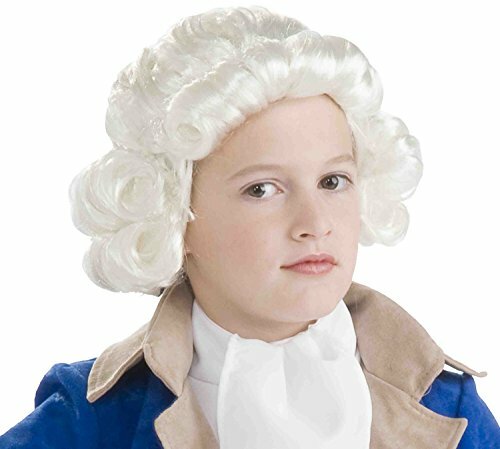 Check out these colonial style wigs for both children and adults, so everyone of any age can join in on the fun. You could also try local costume stores if you prefer to shop offline. 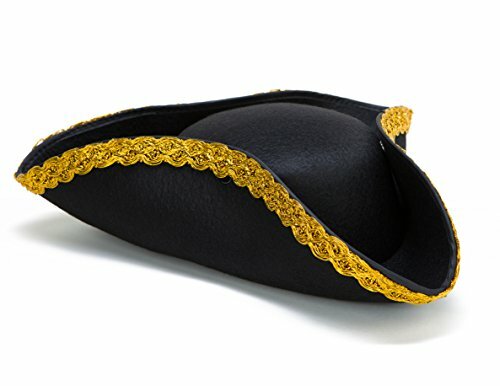 Another accessory is a tricorn hat, an optional addition but one that will add a lot to your outfit. This one is black with gold detailing. 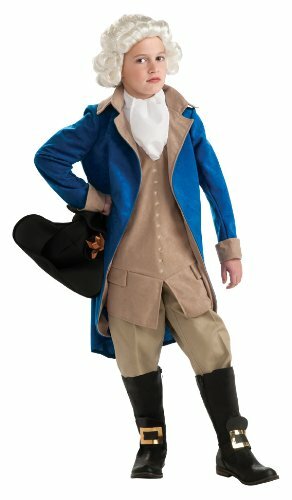 This George Washington outfit for adults has everything you’ll need including: blue coat with white sleeve trim and attached vest, pants, neck tie, boot covers. All you need is add is a pair of black boots to go underneath the boot tops and a colonial style wig such as the ones shown above. If you prefer put together a similar outfit from thrift store items such as blue jacket, white ruffle shirt, tan pants and black boots. Chances are you can find all of these items for a few dollars each. All that’s left is a wig. As I mentioned in the introduction not only is this outfit suitable for adults but also children, perfect for dress up around the house and school plays. These sets include everything the adult set includes: jacket with attached vest, neck tie and boot tops. Add a pair of boots and wig which is sold separately. That is everything you’ll need for yourself or your child. Before you go don’t forget to take a look at our other tutorials, and if you want to keep up to date with out newest posts follow us on social media for updates.